Colostrum is that miracle fluid produced by mammalian breasts during pregnancy. It is the first meal many infants get if they are breastfed. Colostrum benefits are being studied because of its nutritional and anti-inflammatory properties, among others. 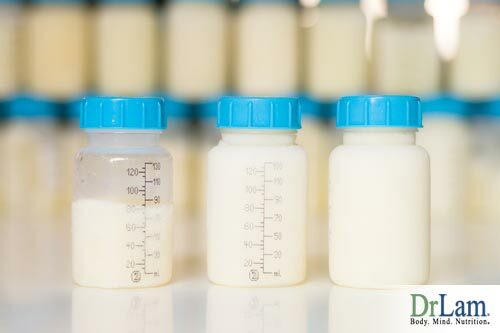 Human females begin making colostrum about four months into a pregnancy. This is the liquid that leaks out of the breasts during pregnancy. Bovine colostrum may be one of the most potent sources of factors that grow the immune system of their offspring and pass along a tremendous number of antibodies. Research has discovered that bovine colostrum benefits include 86 growth factors and 96 or more immune factors and transferable antibodies. The growth factors serve to help the gut and other lean tissues develop and mature. This is especially beneficial for growing a healthy gut microbiome. The immune factors and transferable antibodies literally enable the infant to survive. These factors and antibodies have been developed by the mother over her lifetime of exposure to pathogens for which the developing infant would have no antibodies. These compounds are perfectly suited for human use, as well. They are not species specific. That means you can get all of the colostrum benefits from bovine colostrum as a calf can. In order to fully understand all of the colostrum benefits there are, it is important to understand more about the leaky gut syndrome. This condition is one that occurs frequently and quite often associated with Adrenal Fatigue Syndrome (AFS): https://www.drlam.com/articles/adrenal_fatigue.asp. The lining of the wall of the intestine (the gut) is only one cell in thickness. These cells are held and “glued” together tightly when the gut is healthy. This prevents materials, such as bacteria, viruses, food particles, and other organisms, from crossing that barrier between two cells called the “tight junction” and causing inflammation in the rest of the body. When you are under significant, continuing stress, this lining can become damaged and become more permeable, allowing the materials described above to cross over into the enteric circulation and to the rest of the body. When this occurs, your body’s immune system is activated. It treats these materials that leaked through as foreign invaders and begin attacking them. Inflammation results. This inflammation becomes the foundation for numerous chronic illness conditions as it travels throughout the body in the bloodstream. It strikes organs, joints and muscles, and even the brain. In short, inflammation is very toxic to your body. Colostrum contains compounds that can not only attack inflammation directly but also help heal your leaky gut and stop more inflammation from occurring. Possibly the most potent of the compounds found in colostrum is lactoferrin. This multifunctional glycoprotein is already a major component of the human immune system. It attacks and destroys numerous dangerous pathogens such as salmonella, E. coli, listeria, Staphylococcus, Clostridium, and candida albicans. Adding to the body’s supply of lactoferrin by taking colostrum supplements increases its power to destroy these pathogens. Increasing the importance of this most powerful of the colostrum benefits is the fact that lactoferrin not only destroys pathogens, it also aids in the growth of probiotics. Lactobacillus acidophilus and bifidobacteria are two probiotics studied that showed increased growth in the presence of lactoferrin.